pfm medical titanium, established in 2002 and located in Nuremberg, develops titanised plastic implants (for human use) based on its patented nanotechnological finishing process (titanisation). This process involves the covalent bonding of a titanium coating – only a few nanometres thick – to the plastic. Low shrinkage and migration rates. Outstanding biocompatibility of the implants thanks to the titanium surface combined with very high degree of flexibility thanks to the plastic. The implant is not perceived as foreign by the human body. A true composite thanks to the covalent bonding of titanium and plastic. To start with, pfm medical titanium specialised in the manufacture of titanised mesh implants for use in hernia surgery and urology/gynaecology. Surgeons can choose from an extensive, indication-specific portfolio of high-quality mesh implants. 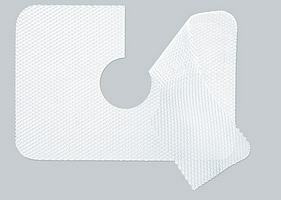 TiLOOP® Bra mesh implant is used in reconstructive breast surgery. Back to the overview "Subsidiaries"